Here is a review from a DIY customer which I delivered to him in Savannah GA on our way to Florida for the weekend. I have owned a pair of 2A3 amplifiers for about twelve years and have always longed for a pair of single driver speakers to go with the amps. In 2000, highly efficient speakers were large and expensive so I purchased a pair of 90db speakers that I could afford and they were OK but always lacking something including a bit more power that I didn't have. A friend purchased a pair of Zen amps a couple of years after I bought my amps and I then knew about Decware. I went to the Decware site a few months ago to check on speakers and found the HDT's. The specs looked ideal and the cabinet design is brilliant so I ordered the plans and then decided that building them was not something I was interested in doing. 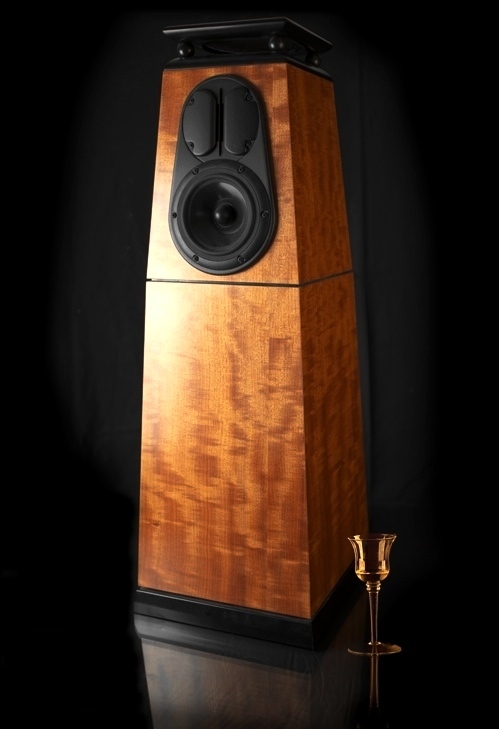 The plans included Bob Ziegler's information and email address so I contacted Bob about building the speakers. I turns out that Bob has been building many of Decware's speakers for a number of years. Bob gave me a price for the build and even agreed to drop them off at my apartment since I live in the middle of a trip he and his wife were planning. Bob and I carried the speakers to my second floor apartment and we unpacked them. The quality of the build is spectacular! I had to work that evening and didn't get the speakers set up until I got home at about 9:00. I have spent many hours breaking in new speakers over the years and was very surprised when I turned on the system. What was missing from my old speakers was no longer missing! The previously boring soundstage was no longer boring and the HDT's were fun to listen to. The bass extension is a little light but I have no complaints and the speakers are already improving with playing time. Decware's DFR-8 drivers are really impressive and are very reasonably priced especially when compared to Lowther and AER's. Steve Deckert of Decware has done a terrific job in developing the drivers and the HDT cabinets.